On a wintry night in Fitzroy, I visited the well known ‘Kodiak Club’ however this time I went upstairs to their venue ‘Little Blood’. 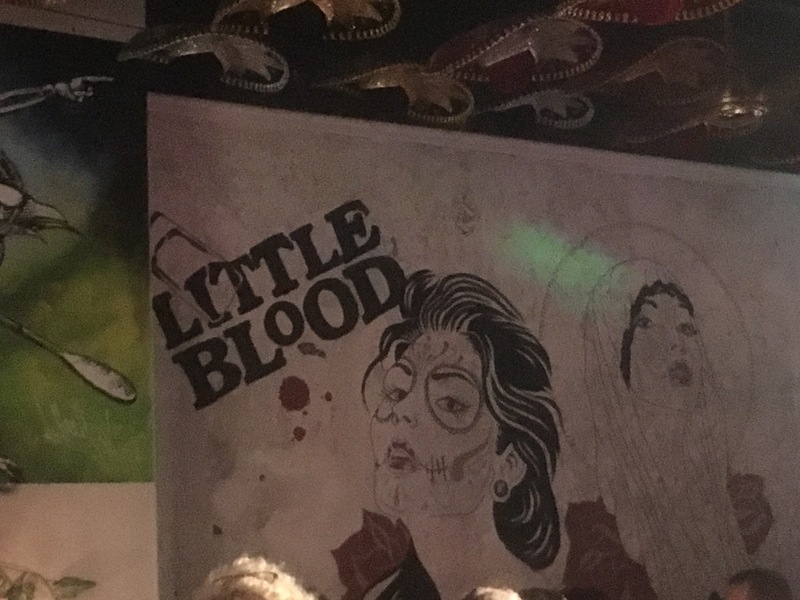 Little Blood is an inviting room with a bar at one end, a performance space at the other and plenty of places to sit (and eat or drink) in between. 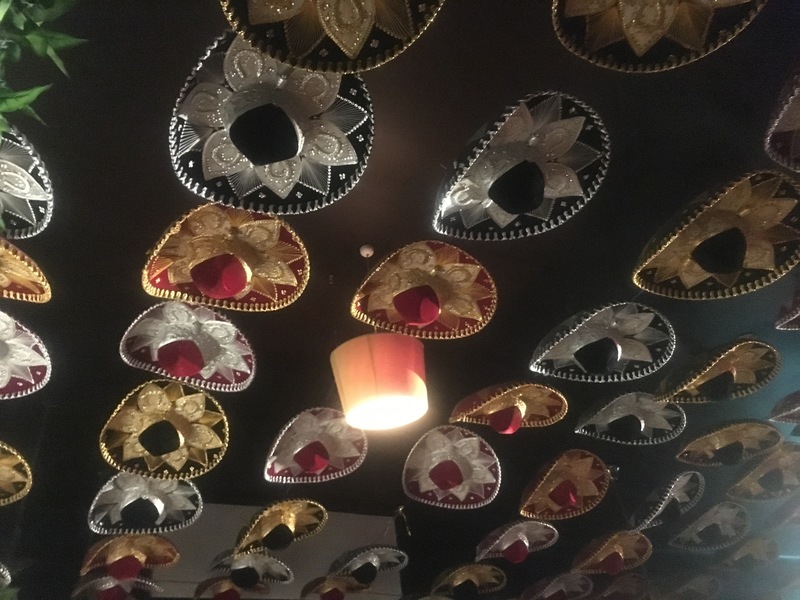 With a roof festooned with sparkly sombreros, Little Blood is a memorable bar with a slightly Mexican theme. Within Little Blood, Tequila Tease is a monthly burlesque show with plenty of guest acts and surprises. Warmly welcomed into the busy space filled with audience members, I sat down and made some new friends while waiting for debut of Tequila Tease to begin. The next moment the MC for the evening – the debonaire Andrew Iles – bounded to one end of the room to announce the show. Iles was excitable, made clever drink references and ensured we were all ready for a wild night “south of the border” (as they say! ).The evening was organised by duo Platinum Honey (performers Camilla Cream and Lord Lovat) and the audience was in for a treat as this very duo opened the show with a raunchy synchronised classic tease act on chairs. Platinum Honey made the audience pant for more – I could feel the audience members getting a bit hot under the collar when Platinum Honey is in town! Miss Holly Wouldn’t was the next act to enchant the audience. It was as though history and glamour walked together when Holly Wouldn’t graced the room with her playful routine. I especially enjoyed her reactions to and interactions with audience members – everyone was delighted by her performance. Lord Lovat returned to perform an exciting and raunchy boylesque routine in dangerously high heels. I could hear the audience cheering louder than ever during Lovat’s routine and I constantly wonder how he carries out such a physically demanding routine in towering heels! He is such a modern marvel! His moves rivalled that of a raunchy music video, and again I could feel the heat in the room rise during his act. If you’ve never had the pleasure of watching Lord Lovat perform then you really must, he really is one to watch! The other half of Platinum Honey (the divine Camilla Cream) suddenly appeared in a puff of feathers and pastel fabric for her turn to sway the audience’s favour. Camilla seemed to float and looked ‘extra fancy’ – as if out of an old movie. I’ve seen Camilla perform more than a handful of times, and one thing I admire is her use of props. It’s rare for her to have something on stage and not use it in a clever way. With this routine, swirls of fabric were transformed into burlesque fans and her use of her fluffy feather boa was alluring. 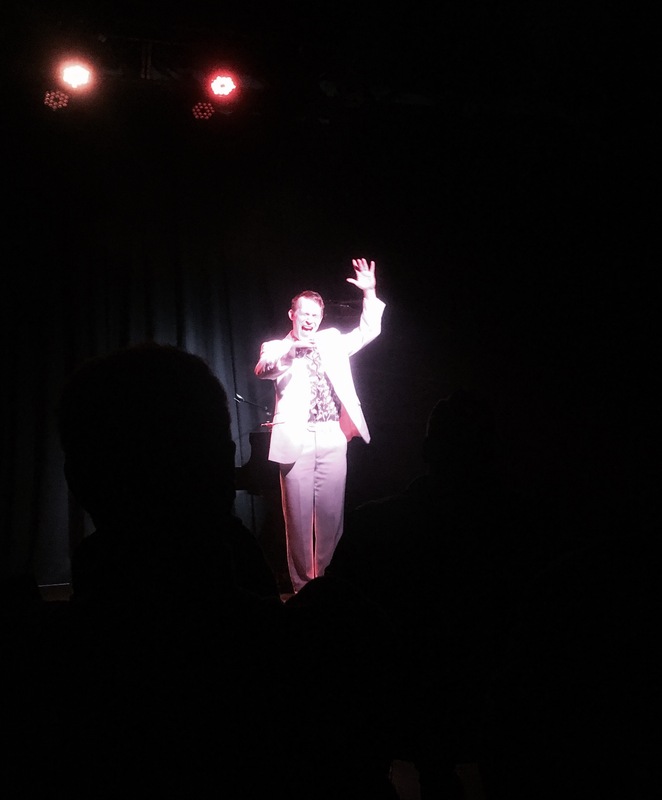 After interval, MC Andrew Iles reappeared to sing songs and show off his sweet dance moves. Andrew has such a light hearted and cheeky way with his audience, that you can’t help but smile along and follow his lead. I must admit that Camilla Cream and Lord Lovat of Platinum Honey put in an enormous amount of effort for this show. I’m sure it is enough of a challenge to perform a duo act and a separate routine each BUT each returned for the second half and each with another act! Talk about a sensational show – the audience couldn’t contain their delight. I won’t spoil too much here, but if you haven’t seen Camilla’s tribute to Big Bird (yes – that Big Bird) then I highly recommend that you do. As for Lord Lovat’s next routine, he had a slightly different (yet equally appealing) persona and proved he can twerk and do the splits with the best of them. Needless to say, Lovat drove the audience wild (as he often does). Miss Holly Wouldn’t reappeared again in a 1920’s inspired outfit and routine. Oozing old world charm and giving many a coy glance to the audience, Miss Holly Wouldn’t was pure temptation. Star of the ‘slow reveal’ Miss Holly Wouldn’t succeeded in taking the audience on a journey to times past, igniting everyone’s imagination along the way. I was excited to watch the headliner for the evening – Bella de Jac – as her name is well known yet I’ve never had the pleasure of witnessing her performances. Bella de Jac arrived in a beautiful dress and hat to much fanfare. Bella de Jac has a gorgeous smile and a playful way with her audience. Ever in charge, Bella is not afraid to deny the audience what they want if they don’t play along! Bella’s amazing routine featured a few surprises so it’s no wonder why she was the headliner of this fantastic show. At the end of the show, I was reluctant to leave the lovely, warm, happy bar for the cold night outside. It was clear that the audience was having a terrific time – I could feel the warmth cheer in the room and I could see smiles everywhere I turned. My throat was hoarse from all the cheering I’d done. Tequila Tease is a monthly show and I feel so lucky that this show is here to take us all away from the chill and gloom of Winter (and beyond). Disclaimer: I attended as a guest of Platinum Honey. Hello lovely readers, you may well have been wondering where I’ve been for the last month and a half…I did have good intentions (I promise!) to leave a little post pre busy season organising conferences, however time got the better of me. I’m currently at the tail end of doing much of the admin for 3 conferences spread across 3 continents over 3 weeks! 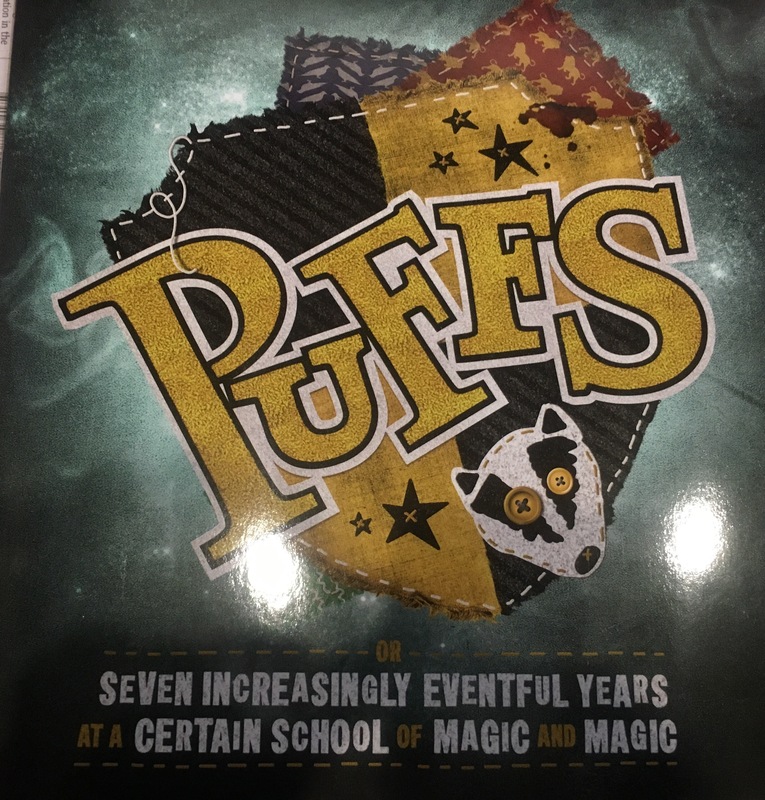 Which has been quite the grand undertaking, in addition to a cheery sinus infection I had for 2 weeks in May…which has meant that I took a month off from reviewing / seeing shows and became a slight hermit while Winter was ever approaching! 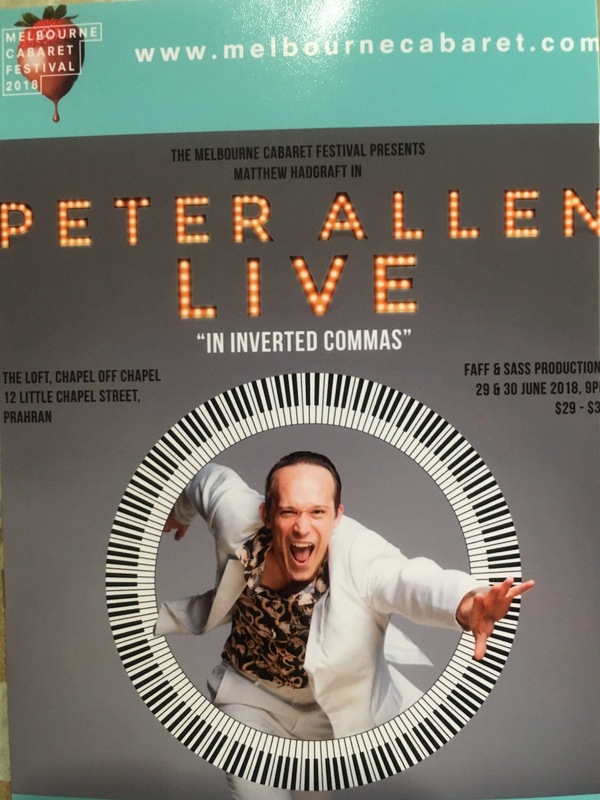 The GOOD news is that I’m back seeing shows again and have seen some slightly unusual shows lately which I can’t wait to write to you all about so I hope you stick around and keep visiting.